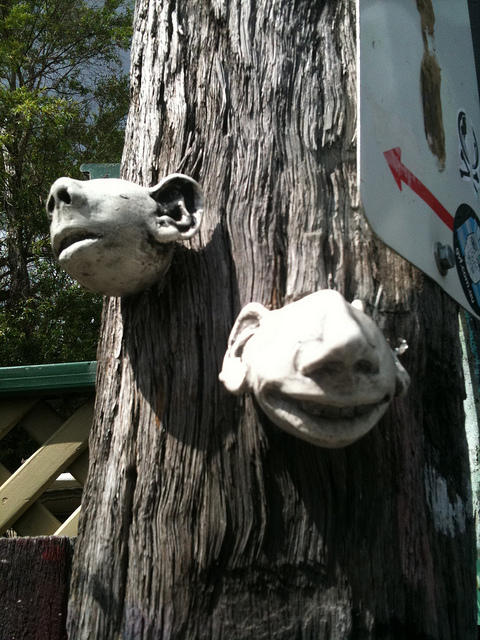 This has got me thinking about street craft and people out there doing things other than cosies on trees. 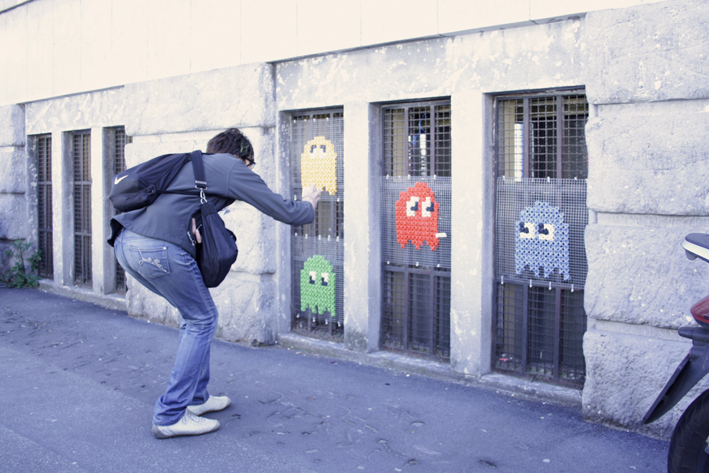 Don’t get me wrong, I think that yarn bombing still has merit in an urban environment, it encourages people to use the skills they have to customise their environment, and it’s a low barrier to entry to the world of street art. 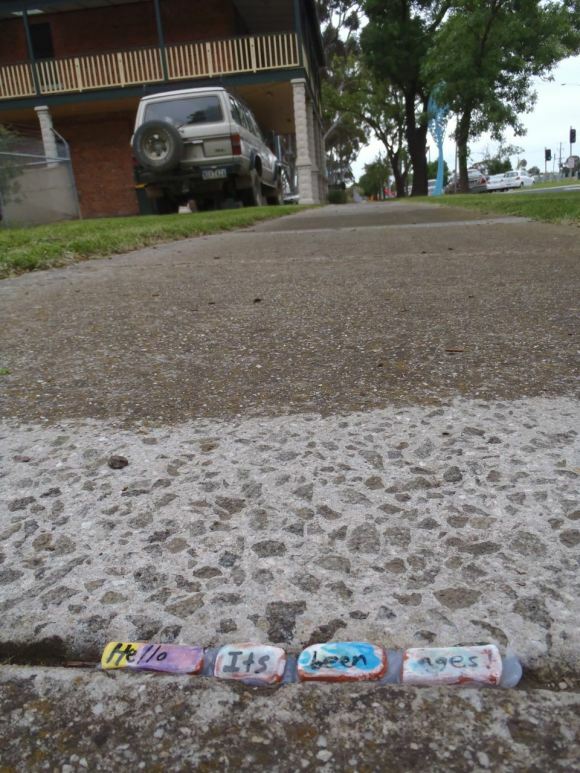 However there are many examples of street craft out there that aren’t yarn bombing and I thought I’d look at a couple today. This was the first time I’d seen craft in the wild and I loved it. I was really excited to see it, sitting proudly alongside huge colourful graffiti and stencils by some of the most well known artists from here and around the world. 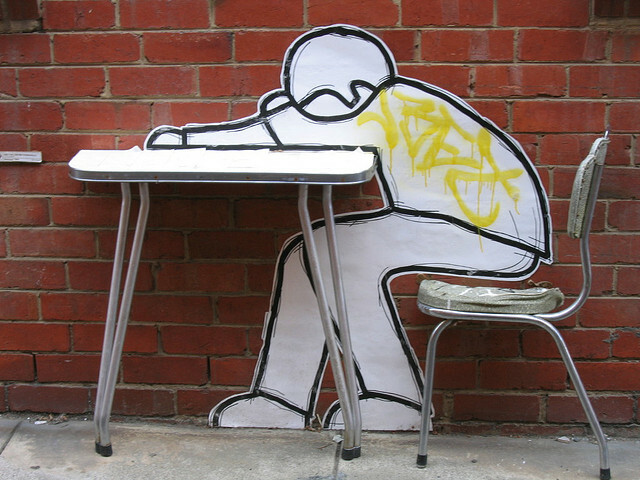 I’d always loved street art, but I can’t paint or draw for the life of me. 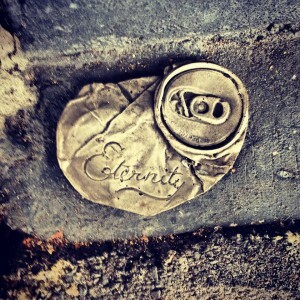 This, here, was someone using skills and processes I use, to make work on the streets. Suddenly my world opened up and I realised that street craft was something I could also do, it was a way that I participate in the urban art culture. 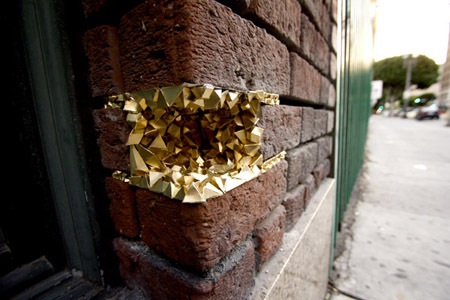 and Paige Smith’s paper project Urban Geode street art installations have shot around the world via the internet. 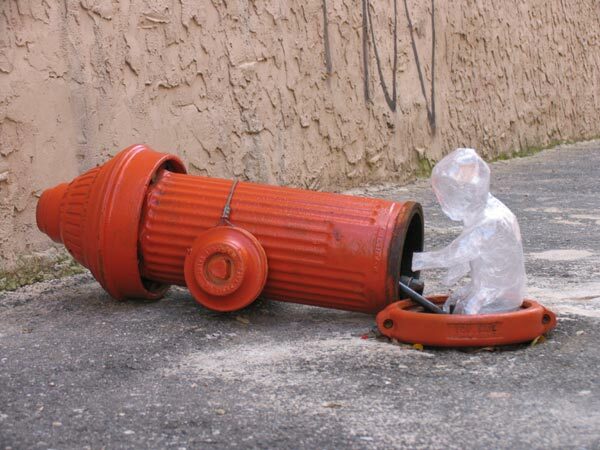 Mark Jenkins creates life sized transparent human figures from sticky tape and cling wrap. 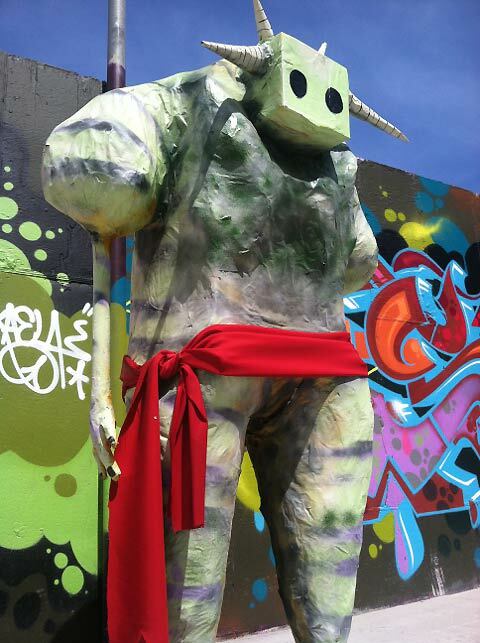 I wouldn’t have thought it would survive long, but even paper mache can be used for street art, this monster is by Pones. 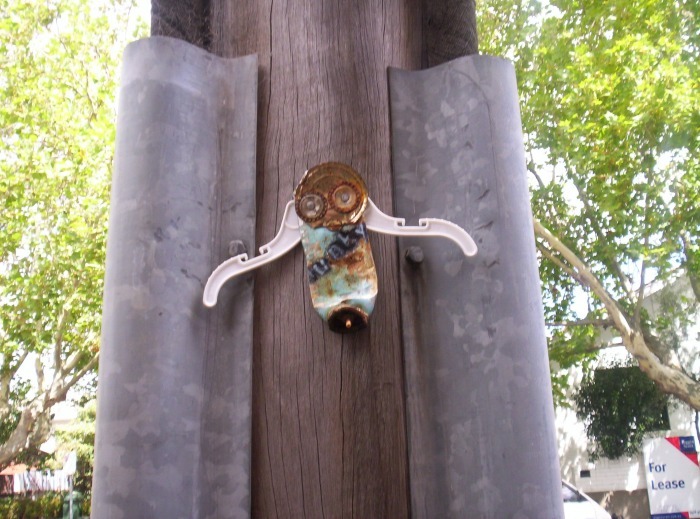 One of my favourite street artists is Junky Projects from Melbourne, who creates little anthropomorphised figures from garbage in the streets and nails them to posts, tiny guardians reminding people that what they throw away stays around forever. 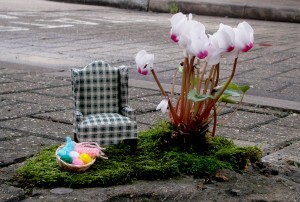 Slinkachu makes tiny satirical dioramas on the street by modifying tiny pre-purchased miniatures from train sets. 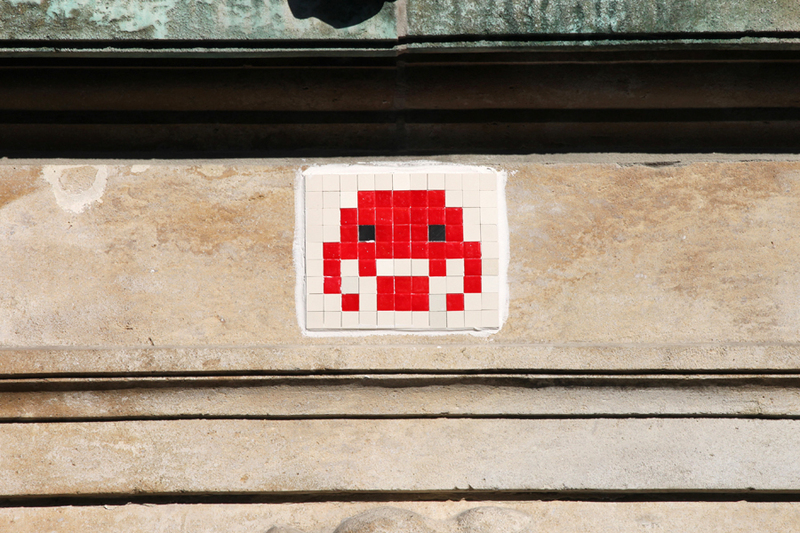 That’s a short round up of some artists working in various craft media on the streets. Do shout out if you know of others! Maybe it’s less about the yarn, and more about the bomber. Do you do it because you want it to have an impact on others, or do you do it to empower yourself? 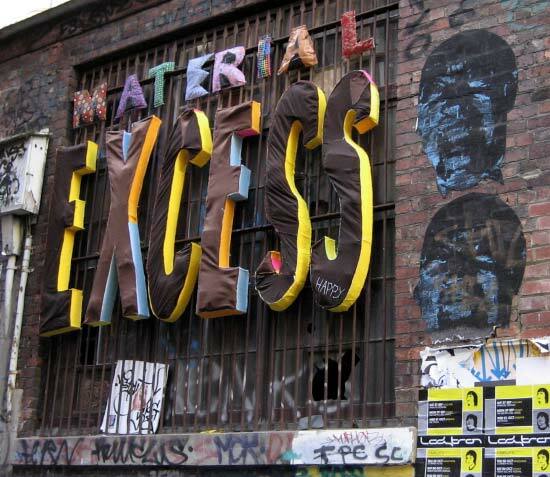 I feel that with street art, and with craft especially, once we start judging it on its impact and aesthetic, we could miss the point, and possibly discourage people from having a go. 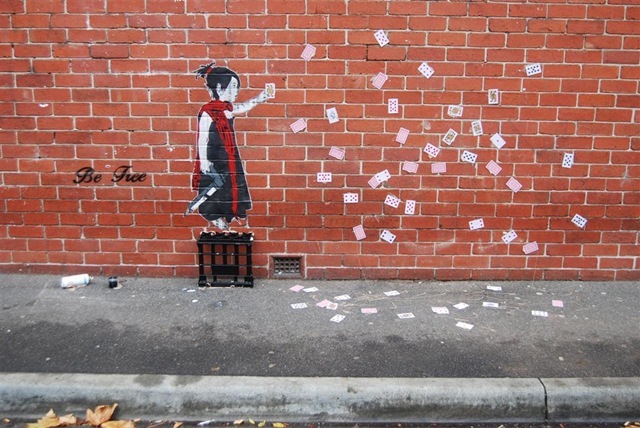 There will always be street art that is mind-blowingly ahead of the rest, but I’d be sad if ‘ordinary’ people were put off doing what is within their means because they felt it wasn’t having enough of an “impact”. Hey Abi, I totally agree with you in respect of not discouraging people from modifying their environment in their own way. 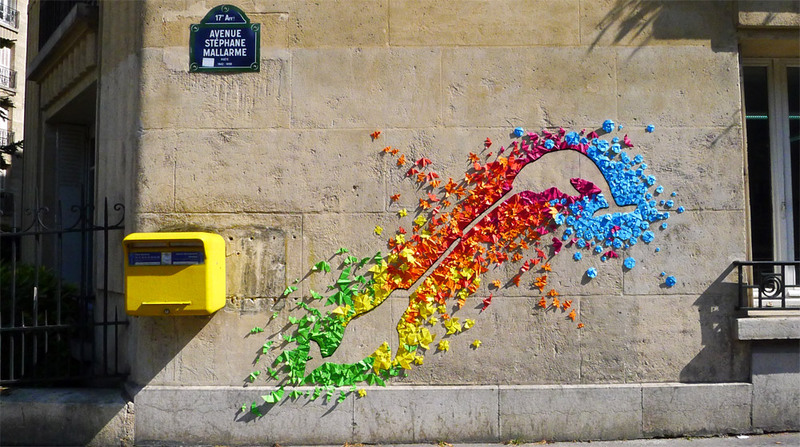 As I said, I think Yarn Bombing is an excellent entry point into street art, and for some that’s the medium they are comfortable in and want to stay using. There has been numerous posts/articles about yarn bombing and I wanted to examine how other artists are utalising different types of craft in an urban environment. 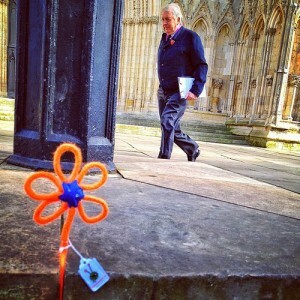 As a public artist creating small, temporary craft works, I’m always on the look out for others working in my field. Abi, absolutely agree with you. With all the amazing work seen on street art sites its easy to become intimidated and start to have a similiar “elist” exclusivity of the gallery. Power to all craftivist – the streets are not for the competitive careerists only. What a lovely, thoughtful post, Sayra! And even *more* things to think about! Thanks for including me on this great post!! Not to nit pic but many of us avoid the “craft” designation. It is a bad old fashioned word in the art world. The message is our medium. 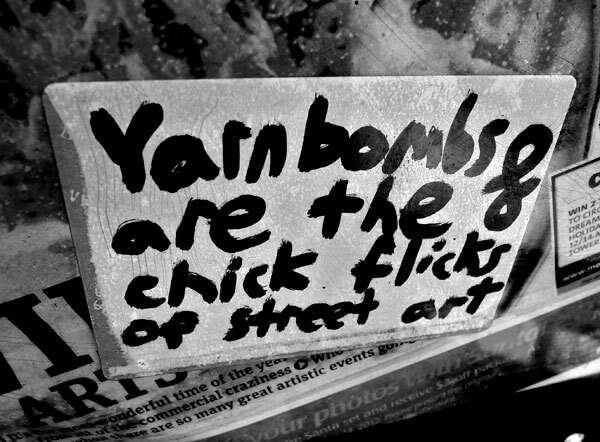 Would you call (yarn bomber) Olek or (wheat paster) Swoon crafters? No. We are all artists trying to get our message out there and make folks think and smile. If we use “craft” materials or spray paint it is all the same. That’s an interesting point actually, about the ‘craft’ label. It took me a while to accept it, for a while I felt craft was mainly glitter and crafts with gumnuts, but I think that it’s much more wide ranging than that and by using it, hopefully I can widen public perception of what ‘craft’ actually encompasses. But each to their own and I respect that you arn’t interested in that term. Labels are tricky, Olek rejects the idea she is a yarn bomber, she labels her work ‘art’ rather than anything associated with grannies. 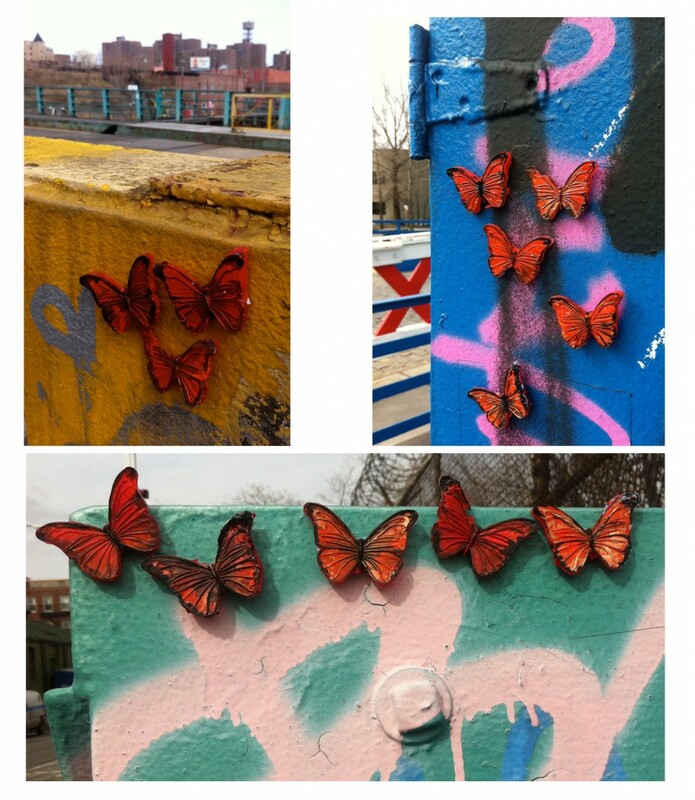 This post was really about showing that street art is more than spray cans on a wall and embracing the people who work on the street, outside of the mediums of paint, stickers and paste ups.